Last weekend's trip to LA just wasn't enough for me. There is so much to see and do that I had no choice but to hightail it right back up for some sightseeing and good food. The Pie Hole | How adorable are little pies? They were a little pricey for the portion, but I still enjoyed these little treats. The Caramel Apple Streusel and Mini Mexican Chocolate were tried and shop was just darling! We stumbled onto a fair that was occurring on the street so that was a nice surprise. 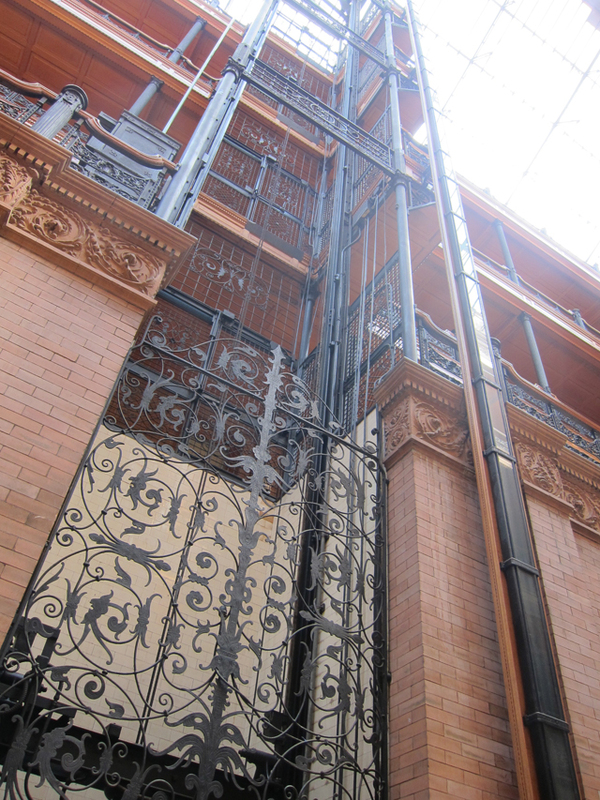 Bradbury Building + Angel's Flight | Goodness gracious, the interior of the Bradbury building simply took my breath away. To say that it is stunning is an understatement! Also, I never thought that the "world's shortest railway" would be added to my list of sights seen, but I'm certainly not complaining. The car was quaint, and it left me wishing that the ride was longer. The Little Door | Oh gracious me, what a lovely meal this was. The restaurant was beautiful, and I was just smitten with the courtyard! Who could complain about eating under a canopy of vines and enjoying a summer breeze? I'm totally still craving their melt-in-your-mouth mozzarella. We also enjoyed salmon carpaccio, and "braised lamb shank with blenheim apricots, honey and almond". Dessert was enjoyed in the form of a pot de creme. Although on the richer side, I enjoyed the hazelnut chocolate sticks that came along for the ride. 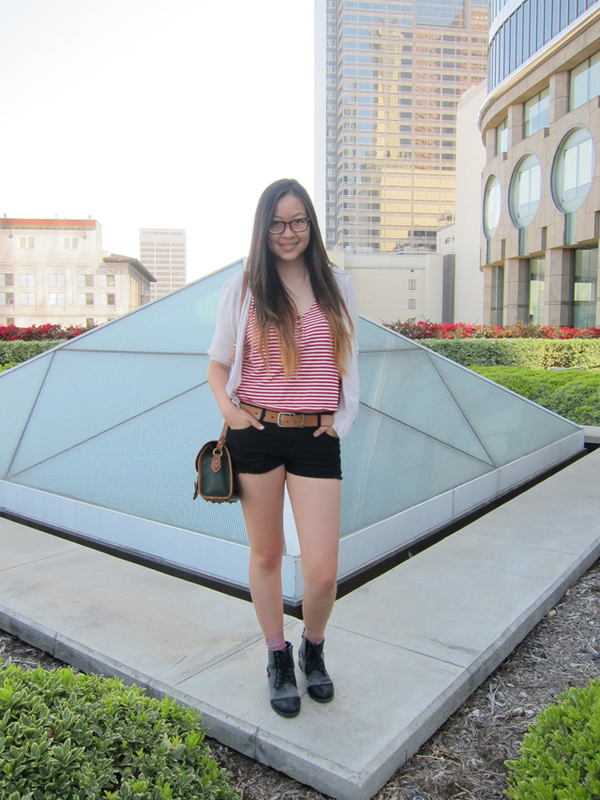 LA, you have been so good to me.